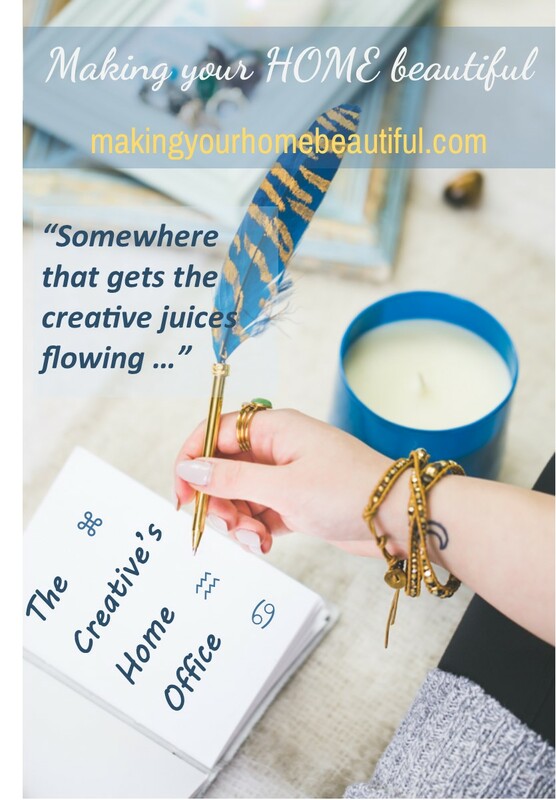 The post The Creative’s Home Office – 7 tips to create a creative space appeared first on Making your HOME beautiful. 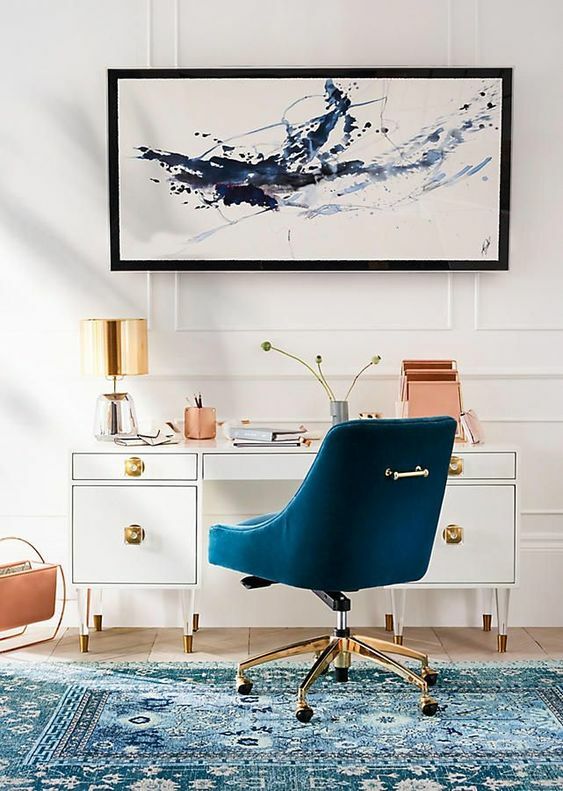 The perfect creative space is a room that says a lot about you and one that you enjoy spending time in. Somewhere that really gets the creative juices flowing and where you are surrounded by things that you love and have meaning to you. 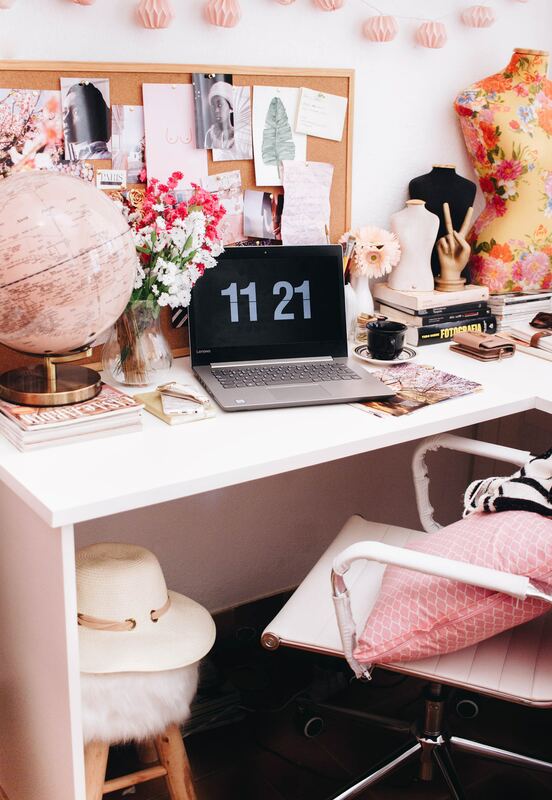 This rule alone will help you to create the perfect home office. 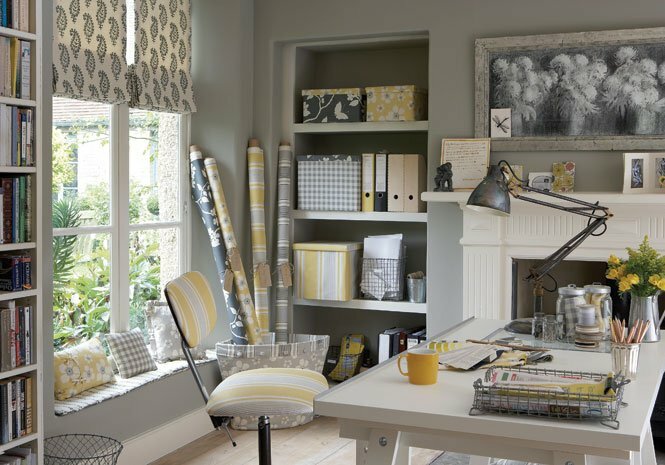 I have to say that one of my all-time favourite rooms is Vanessa Arbuthnot’s yellow and grey home office. I can’t tell you how much I wish this was mine. 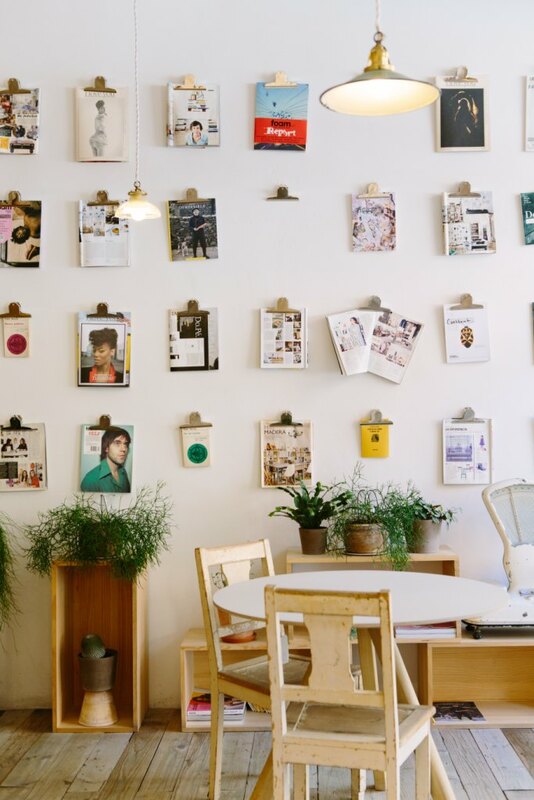 Have you ever coveted a room from a magazine? I am sure that we all have at some point. Of course, being an interior decorator I’m supposed to be above all of that and just create my own look – absolute rubbish – I drool over house images all the time and picture myself living there! 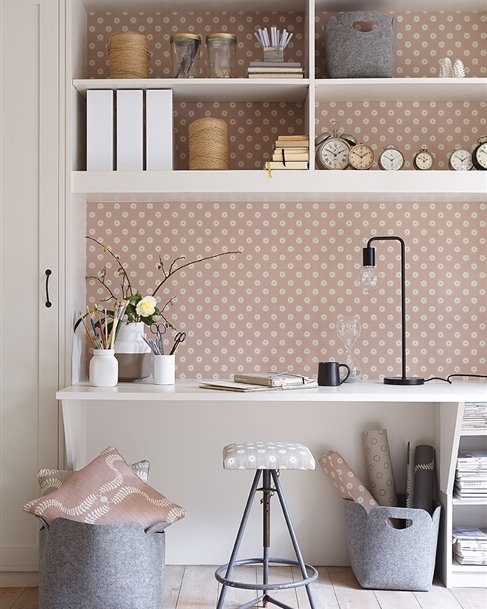 How therefore do you put together a home office that is the perfect creative space? You could be like me and work in a creative field or you could be lucky enough to have a room of your own at home which you use simply for creative pursuits. Perhaps you use the creative space for painting or sewing or both. Whatever you do, it is far preferable to do it in a room that is inspirational and uplifting. Somewhere that gets the creative juices flowing and reflects you and what you love. I happen to love chintz and rather ornate patterns, possibly due to my English heritage, and therefore a creative space I would decorate just for me would include these types of designs. 1) Be true to yourself. Don’t simply follow trends but hunt out designs and ideas that you love. Designs that say something about you. In Vanessa’s Swedish designs she has taken inspiration from Britain in the 1950s but with a Gustavian twist. Neither quaint nor fussy, they are classic designs with a very nostalgic English style. Shown here are the pinks co-ordinated with light and dark greys that is really a very contemporary and relevant colour palette, just with a beautiful soft touch. 2) Give yourself room to move. 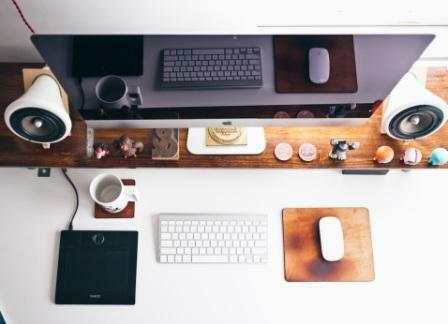 Don’t underestimate the amount of desk space you will need as there is nothing worse than being cramped. For my work I need lots of room to spread out fan decks and colour charts and a space to put together fabric samples and other interior finishes. 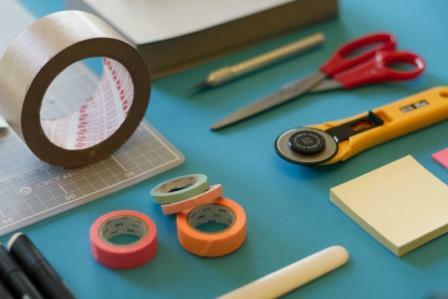 Most creative jobs or hobbies will also require this so ensure your creative space gives you room to move. 3) Keep the clutter tidy! 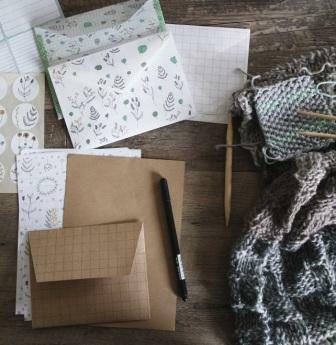 Inevitably you will have scraps of fabric, paint samples, reels of cotton etc. to find room for so don’t forget to factor in shelving with room for storage boxes and magazine files. Keep the colour and design theme running here by covering boxes in fabric or painting magazine files. 4) Have a notice board. These are great for inspiration and for finding a place for the latest school photo or timetable! 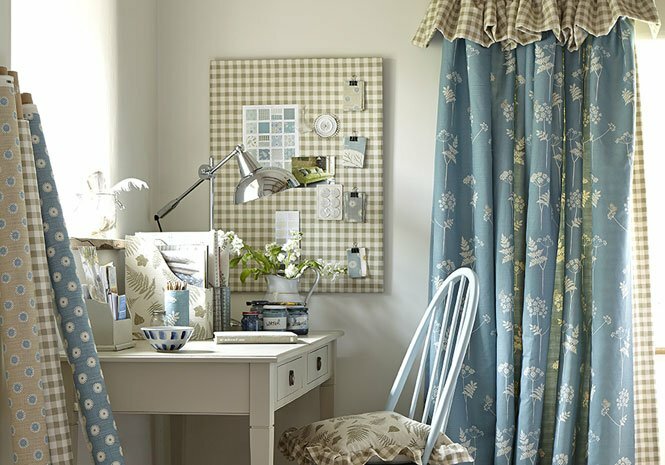 A notice board avoids all the bits of paper left lying around the house and when upholstered in a co-coordinated fabric, adds to the look of the creative space. If you have a collection of magazines or imagery that you want to have on show, consider innovative display systems that also act as artwork for the room. 5) The boring bits. 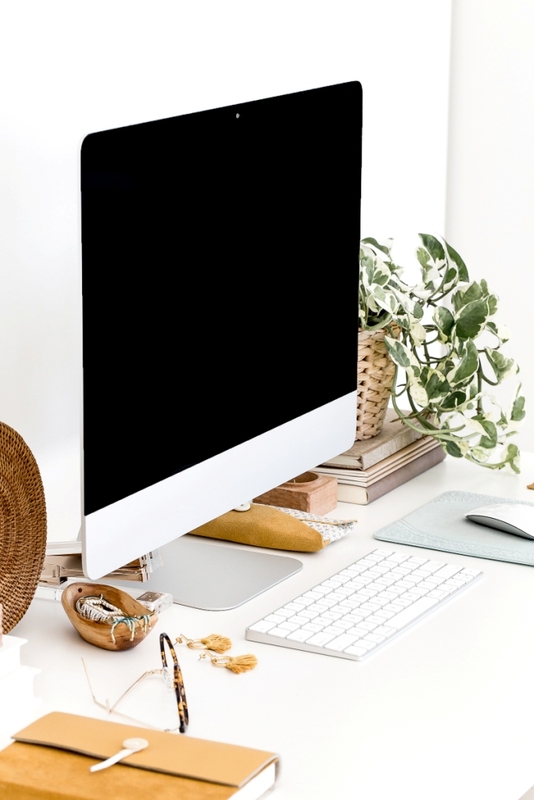 With technology comes cables, even if you rely on a wi-fi system, there still seems to be boosters, chargers and other requirements and often you will need a dedicated printer so don’t forget these boring but necessary details when planning out the space. 6) Lighting. Ideally you will have three types of lighting here. 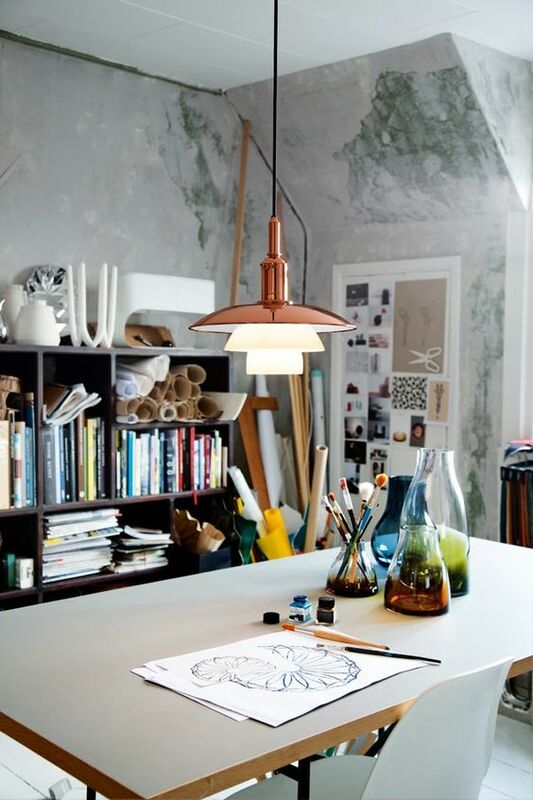 Overhead lighting, possibly in the form of LEDs that gives the room full lighting. Mood lighting in table or floor lamps, if there is space, is fabulous for a room like this, particularly if you are fortunate enough to have space for an occasional chair or sofa. Finally task lighting on the desk is absolutely vital. For a calm environment, I often eschew the overhead lighting and just use a desk lamp in the evening if I am simply working on the computer. Ensure when you are setting up any room in the house to always give yourself lighting options and remember too that table and desk lamps come with those pesky cables! 7) A comfortable desk chair. This is an absolute necessity if you spend a long time at your desk. 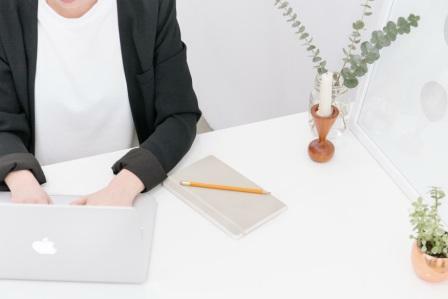 At the very least you should have some decent back rest and a comfortable cushion but a true desk chair that can be set exactly for you is the best idea. Remember that you can re-upholster them as there is nothing to say that you must have a black office chair! Follow me on Pinterest and Facebook for more ideas and images.